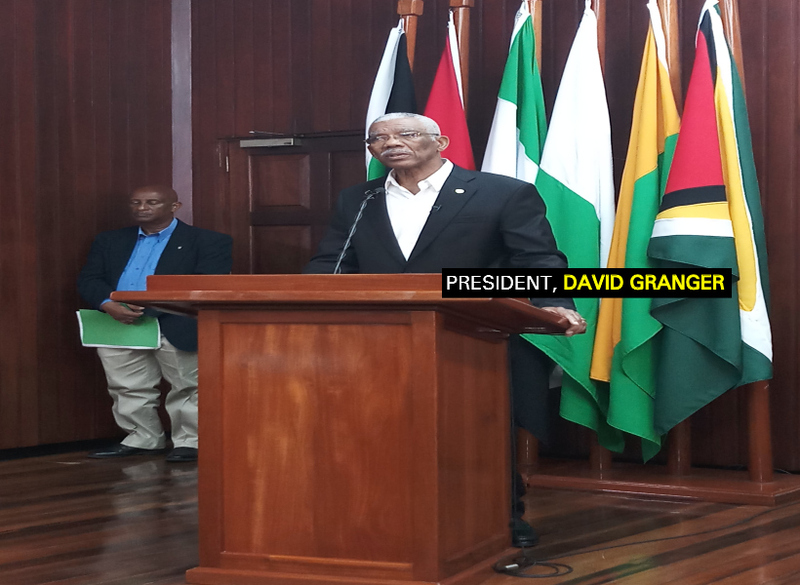 President David Granger today announced that Guyana will soon sign a framework agreement for economic cooperation with Barbados. This announcement comes 24 hours after a Memorandum of Understanding (MOU) was signed between Guyana and the twin-island Republic of Trinidad and Tobago for energy cooperation. The President, speaking at the opening of the inaugural Guyana Trade and Investment Exhibition (GuyTIE) today, indicated that the decision was taken following attendance at the Ninth Meeting of the Prime Ministerial Sub-Committee of the Caribbean Single Market and Economy in Barbados earlier this month. Granger noted however that there is a need for intensified collaboration between local, regional and international firms to grasp opportunities, which can provide a platform for global market penetration. The President committed that Guyana will continue to pursue regional economic cooperation in order to build greater prosperity and global competitiveness.